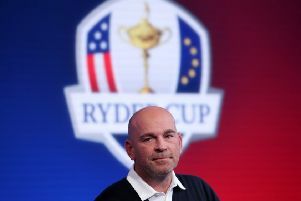 Thomas Bjorn has called on a quartet of seasoned Ryder Cup warriors to help Europe regain the trophy in Paris later this month. In selecting Paul Casey, Sergio Garcia, Ian Poulter and Henrik Stenson as his wildcard picks, Europe’s captain has essentially opted for Ryder Cup pedigree over current form. To that end, Rafael Cabrera Bello – an impressive rookie two years ago at Hazeltine – and particularly England’s Matt Wallace, three times a winner on the European Tour this year including in impressive fashion in Denmark last weekend, can feel particularly aggrieved at missing out. Sheffield’s own Matt Fitzpatrick, a debutant two years ago, also has a case to be disappointed after he finished above all four of those selected in the European points list, and both Garcia and Stenson on the world points ranking. 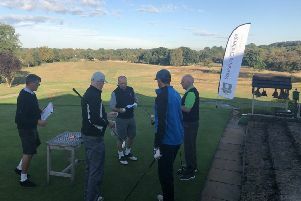 But with five rookies already having qualified on merit for the team, Bjorn has opted to use his own selections on experienced Ryder Cup fighters to help try and wrest the famous trophy back from a formidable-looking United States team at Le Golf National in Paris from September 28-30. Garcia did break his major drought at the Masters last year and since his Ryder Cup debut in 1999 at Brookline, has been one of Europe’s most influential players in the competition. “You’ve got to look at Sergio in certain ways. He is the heartbeat of the team, it is like a football team going without a captain,” said Bjorn. “Not only is he a fantastic golfer, but he also makes everyone around him better. “He is what is great about the European team room, he is everything that the European Ryder Cup team is about. The call to Stenson owed as much to past form in the format as much as it did to his recent performances, with the Swede having endured an injury-plagued year. “As soon as I knew what his focus was, it really wasn’t a big problem for me to pick him,” said the captain. The thing about Ian is when he gets confident and gets believing... I met him in the parking lot in Augusta he was like, ‘Right, I’m going to be there, I’m going to be part of your team’. His competitive spirit in the competition has been the cornerstone of a dominant era for Europe, prior to the American victory two years ago at Hazeltine.Bjorn added: “When he won in Houston, I thought he was on the track to be part of this team. The thing about Ian is when he gets confident and gets believing... I met him in the parking lot in Augusta he was like, ‘Right, I’m going to be there, I’m going to be part of your team’. Bjorn described his pick as a “no-brainer”, saying: “Paul’s really shown that he has missed this part of his life and it really was a no-brainer for me to bring him back. The quartet join automatic qualifiers Tommy Fleetwood, Jon Rahm, Alex Noren and Thorbjorn Olese, Justin Rose, Francesco Molinari and Rory McIlroy in the European team. IN: Sergio Garcia hasbeen selected by Europe captain Thomas Bjorn. Picture: Mike Egerton/PA. CHOSEN ONE: England's Paul Casey. Picture: Julien Behal/PA.